Now that the 2014 MLB All-Star Game teams have been announced for both the American and National League, there are already cries for help. Fans somehow voted Matt Wieters in as he sits on the Disabled List, while there were also many other mistakes. Below is who deserved to make the starting lineups for both leagues. All stats are through July 6. Perez was named the starter by John Farrell to replace the injured Wieters. At just 24 years old, Perez is one of the best young players in baseball and one of the cornerstones the Royals hope shapes their future. He adds 10 home runs, 29 RBIs and 85 hits in 78 games played. While Derek Norris would have also been a fine choice to start the game, Perez has suited up behind the plate much more than Norris. Cabrera starting is not a bad choice at all. He is still one of the best — if not the best — hitters on this planet. In the first-half, Encarnacion just had a more productive and impactful start to the season. With Encarnacion’s injury, Cabrera should now start at first base. Did I really need to mention Cano’s 7 stolen bases? No. But what I should have mentioned was Altuve only being thrown out three times, and barely being behind Cano in OPS. Cano is once again having a great season, just a different one than usual. 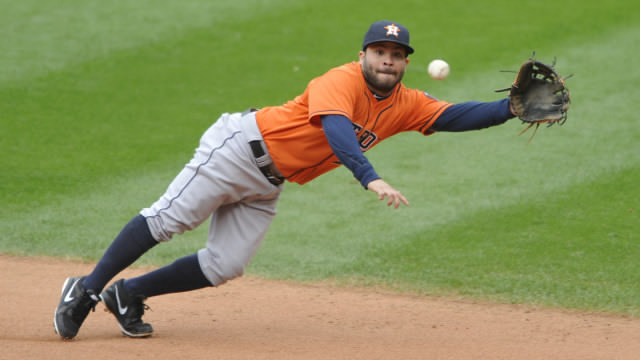 Altuve is above him so far this season, as he continues to defy the odds. Derek Jeter will finish his career as a 14-time All-Star. His stats are just fine for a 40-year-old shortstop. Does Erik Aybar or Alcides Escobar have more deserving stats? Probably. Really though, Jeter’s stats DO NOT MATTER. For more on Jeter’s All-Star selection, read my last column here. Josh Donaldson’s terrible June should have taken him out of the starting lineup. He just .181 for the month and saw his numbers slide way down. Donaldson’s slash line is down to .241/.319/.459 with a .778 OPS. The ultra consistent Beltre is once again having another solid season. He’s played fewer games than Donaldson, but his OPS is 120 points higher, and he continues to play a great third base. The fans picked two out of three correct. Trout is on his own baseball planet, and Cruz has been one of the best contract bargains ever after being suspended last season. What I don’t agree with is Adam Jones over Michael Brantley. The snubbed Brantley is better than Jones in every slash line category giving him a better OPS, he has stolen more bases, and has scored and knocked in more runs. When the Prince Fielder and Ian Kinsler trade happened, there was worry that Miguel Cabrera would not be protected in the lineup. Worry no more. Martinez has added 21 home runs and a .991 OPS so far, while just striking out 23 times. He has a real chance of striking out less than his home run total. Tanka has been a fantastic rookie, and is easily one of the most valuable players in baseball. He has exceeded expectations and lived up to his hefty contract. Hernandez is just having another year where hitters decide not to hit him. He and Clayton Kershaw are sitting atop the pitching mountain and may be for awhile. Yadier Molina is still perhaps the best catcher in baseball, but his stats have not been comparable to Lucroy’s in the first half. Lucroy has been one of the best hitters in baseball, while anchoring the first place Brewers and deserves to start in Minnesota. Goldschmidt is one of the most powerful young stars in baseball, and the fans easily made the right pick here. His strikeouts are high with 91, but he’s always a home run threat and one of the best overall hitters in baseball. Dee Gordon went from a track star that might as well close his eyes when he swings, to a possible star in the making this season. He is still swiping bags with 42 in the first half, and has added 9 triples already. But, nobody saw him hitting .302 at All-Star break. Gordon’s been a great story this season, and the Dodgers have to be ecstatic. Shocked? Yeah, I didn’t think so. Tulo has dominated this season, showing the star he is when healthy. Yes, his home and road splits don’t make him look as great — .439/.521/.755 at Coors Field vs .265/.367/.463 — but Tulowitzki is a star and has played like it this season. Aramis Ramirez has been solid for the first-place Brewers, but his numbers do not beat Frazier in any sense. 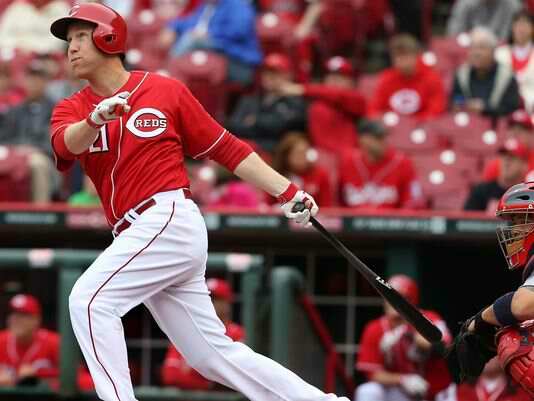 Frazier has been one of the most valuable players in the NL. And besides that it would be pretty cool for him to start in the same All-Star Game as Derek Jeter after standing on the field during the national anthem with him as a young boy in 1998. Yeah Jetes, you are old. No problems here. Leave it as is. This might be the most athletic outfield ever and we’re all waiting for at least one highlight reel play from one of the three. I do believe Giancarlo Stanton should have been voted in over Gomez, but he’s fine as the DH. Stanton should have been voted in as an outfielder, but he’ll still get the start since the game is at an AL stadium. Superstar has always been written all over Stanton and now we are truly seeing why. He is adding hitting for average to his freakish power, with a .308 batting average and 21 home runs. Stanton is a serious MVP candidate for the surprise Marlins. Adam Wainwright and Johnny Cueto are both very deserving candidates and one of the two will probably get the start over Kershaw. He may only have started 13 games this season, but he is still the best pitcher on the planet. Aside from the above stats, Kershaw has also struck out 115 batters while only walking 12… SERIOUSLY! The bearded lefty is a freak. Batters are only hitting .199 against him and he sports a 0.87 WHIP.